Fun to wear during the Christmas season. People will wonder where you found something so cute! 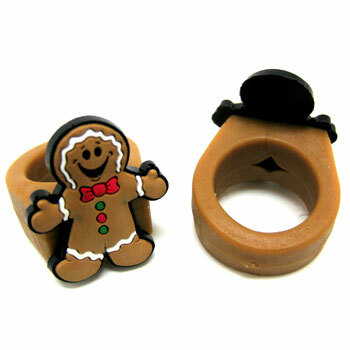 Gingerbread man brown rubber ring. Poly bagged and sold by the dozen. $2.60 per dozen for 60 dozen or more. $2.25 per dozen for 120 dozen or more.